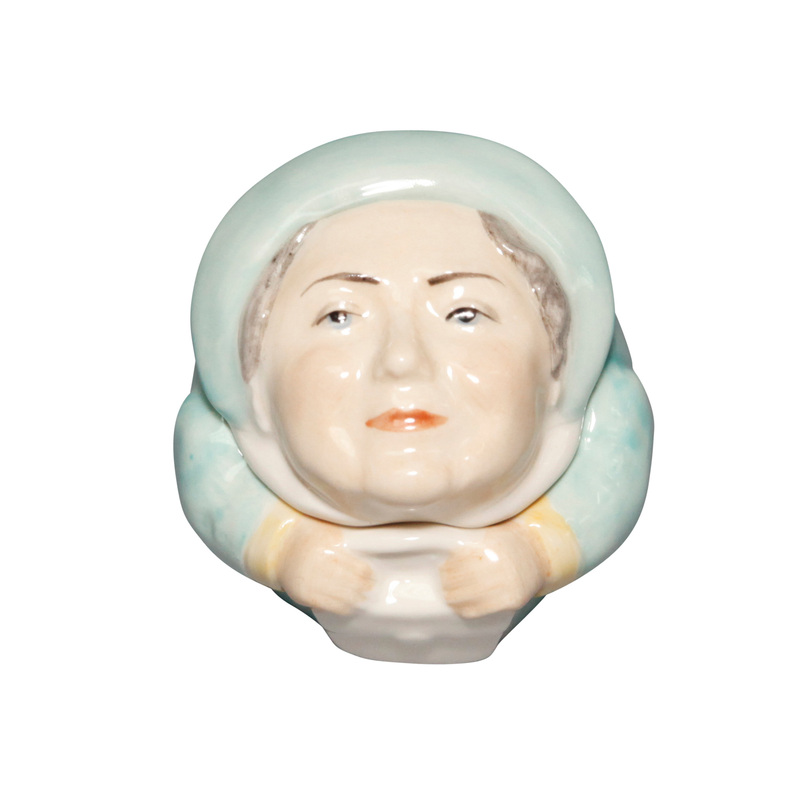 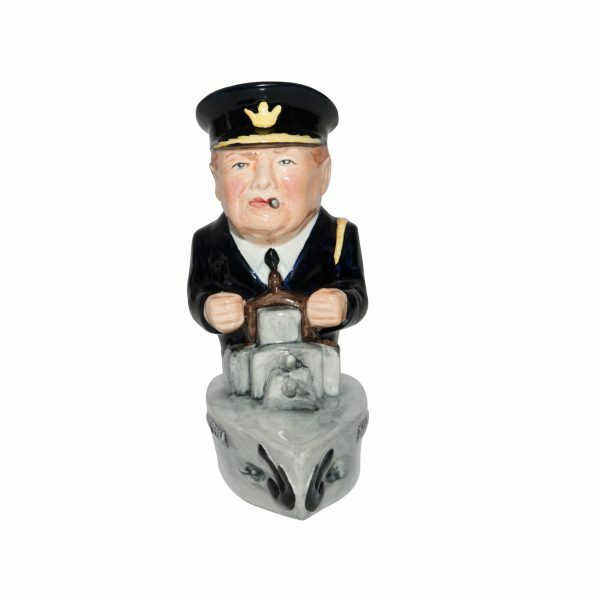 View cart “Political Churchill” has been added to your cart. 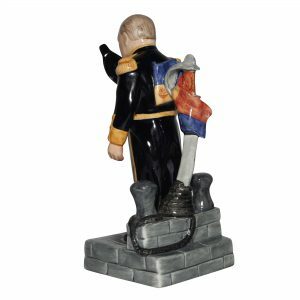 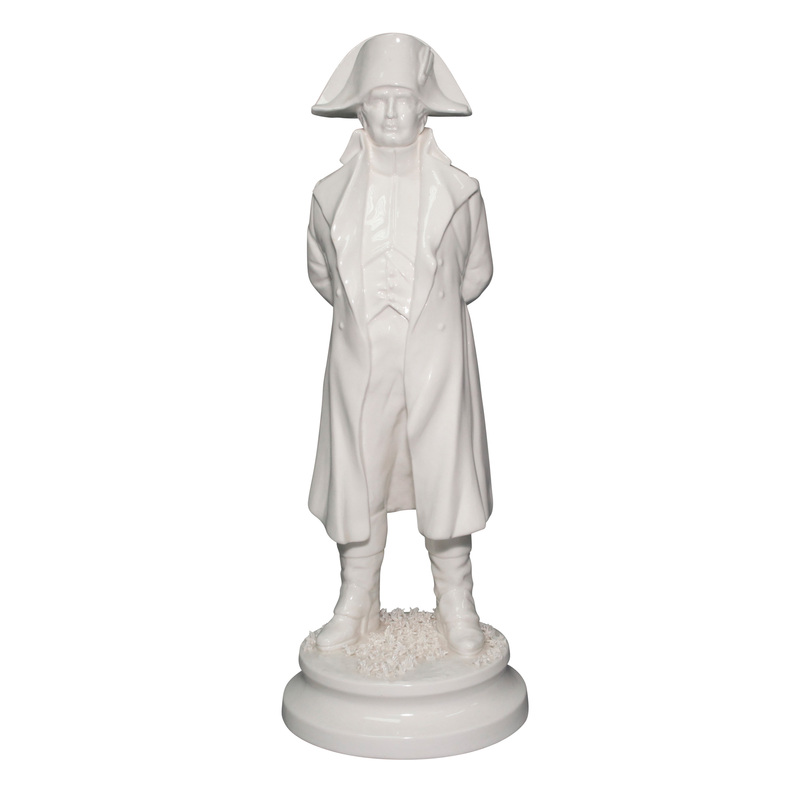 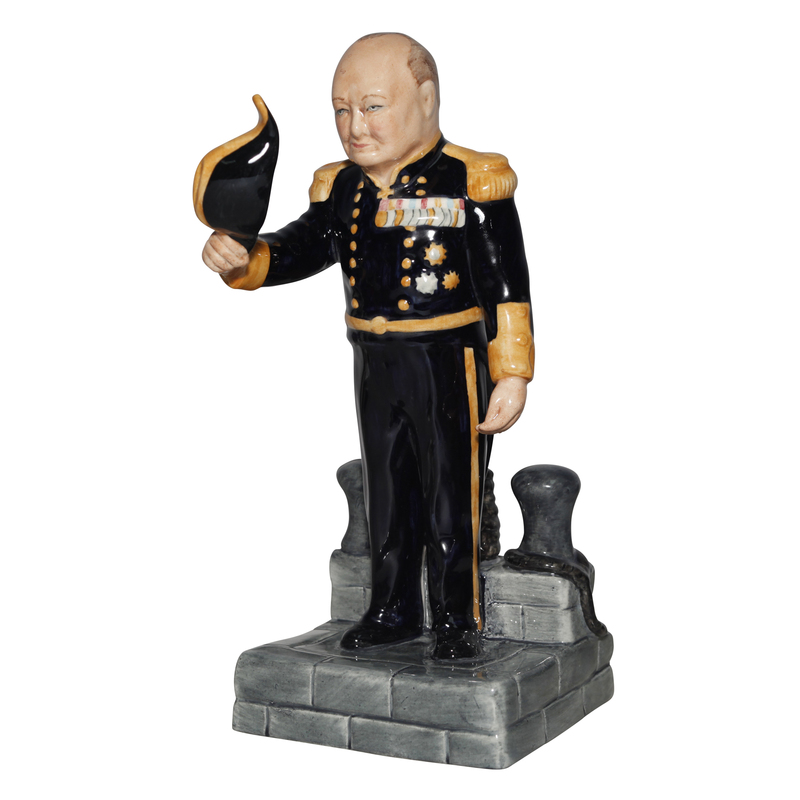 These hand-painted Bairstow Manor Collectables pottery figures depict Churchill wearing a Royal Navy uniform and piloting a dreadnought—one of the battleships that helped Britannia rule the waves through two world wars—that flies the Union Jack. 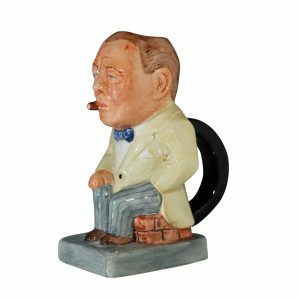 Winston Churchill was named the Greatest Briton of all time in a 2002 poll. 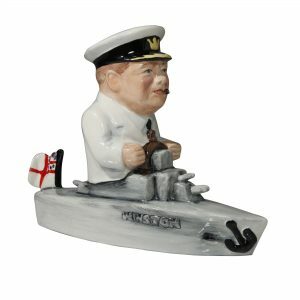 Among the most influential people in history, Churchill served as Britain’s First Lord of the Admiralty, a British cabinet position similar to a modern Secretary of the Navy, from 1911 to 1915, advocating for modernization to help the Royal Navy remain the world’s dominant fleet. 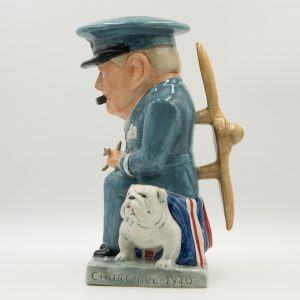 Churchill is depicted wearing a modified Royal Navy uniform, similar to the one he wore the first time he met U.S. President Franklin Roosevelt in 1941 about the U.S.S. 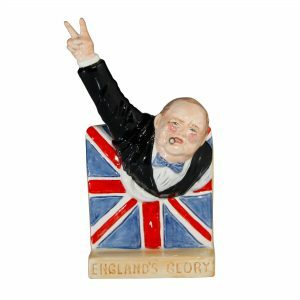 Augusta, before the U.S. entry into World War II and at a time when Britain was desperate for help. 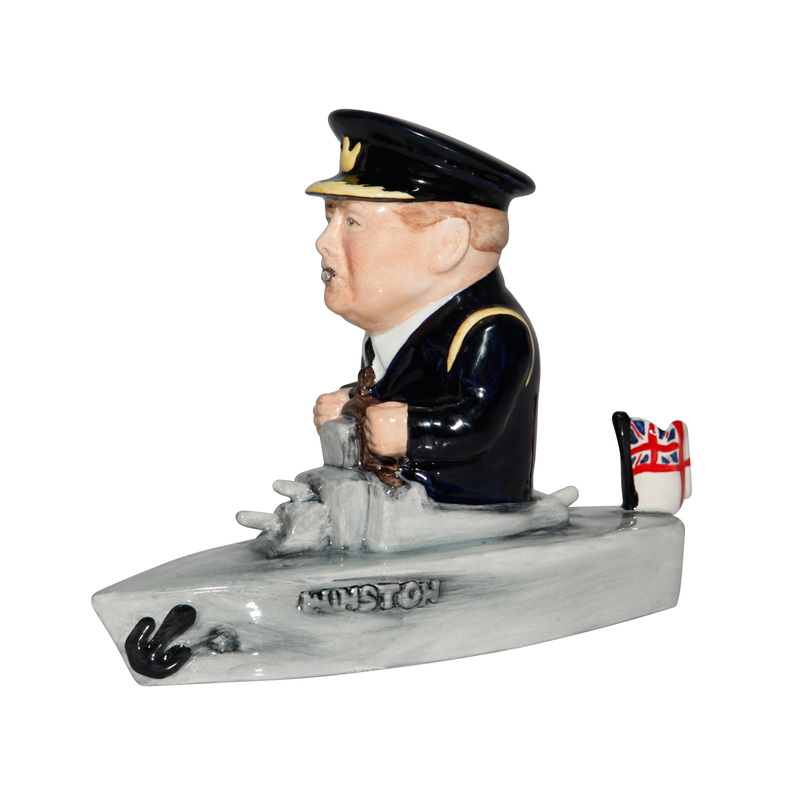 Historians suggest that by wearing a British naval uniform, Churchill was reminding Roosevelt and those Americans who still opposed U.S. entry into the war that helping Britain would ensure the security and safety of U.S. ships in the Atlantic. 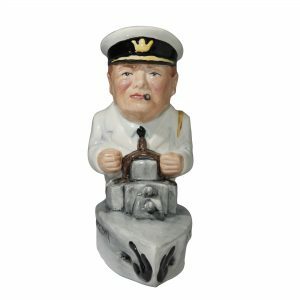 Appearing in a naval uniform he emphasized the political and diplomatic point he was trying to achieve. 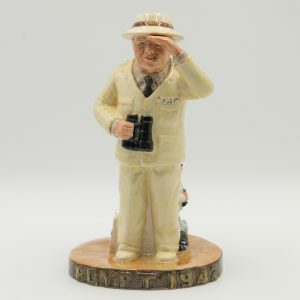 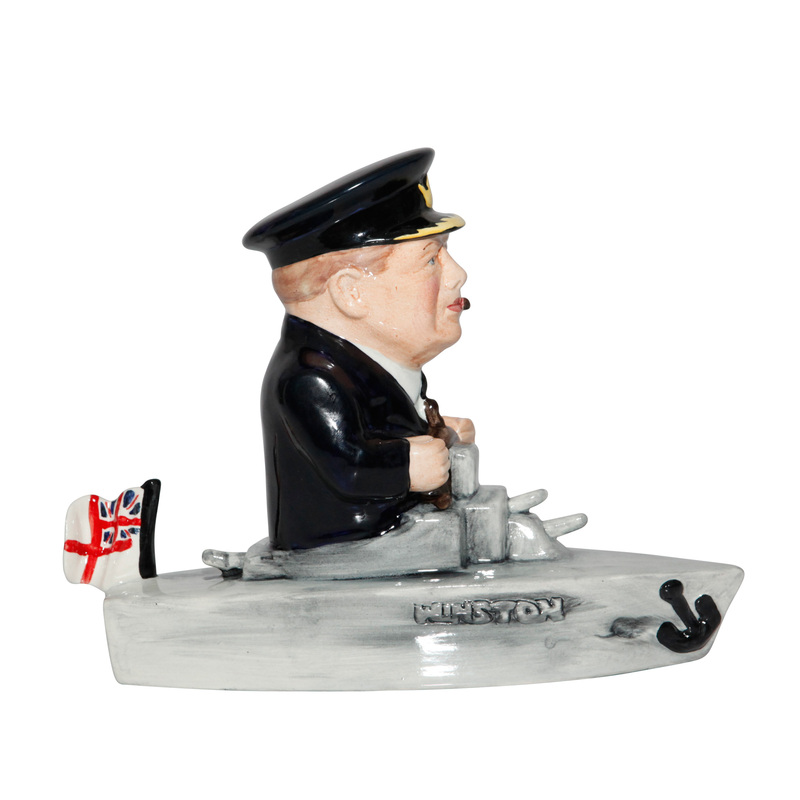 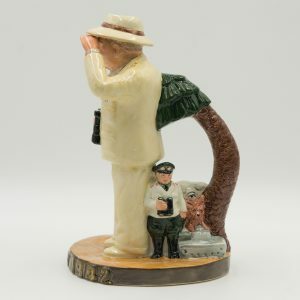 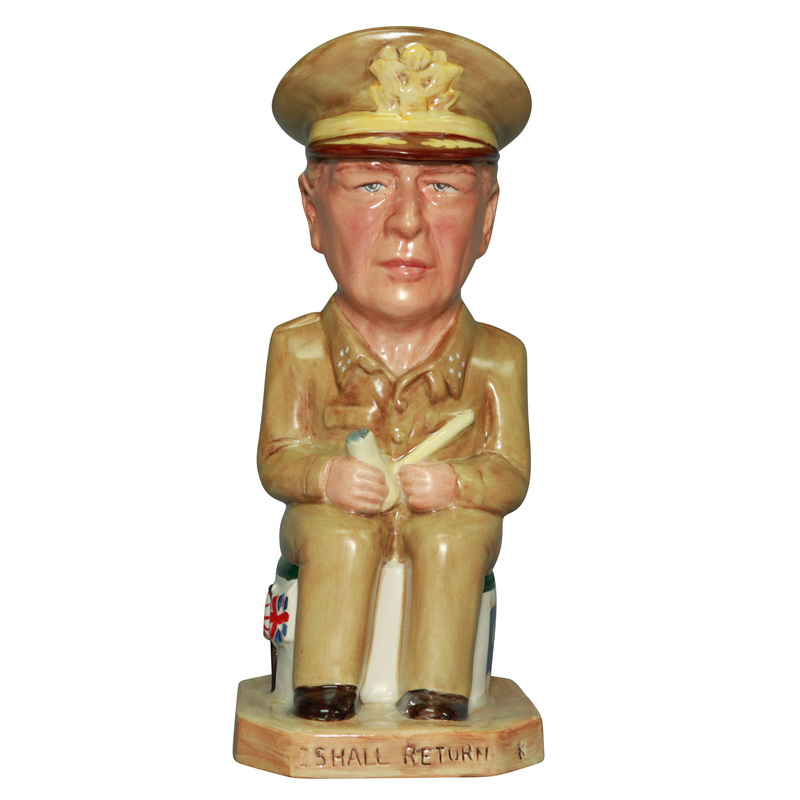 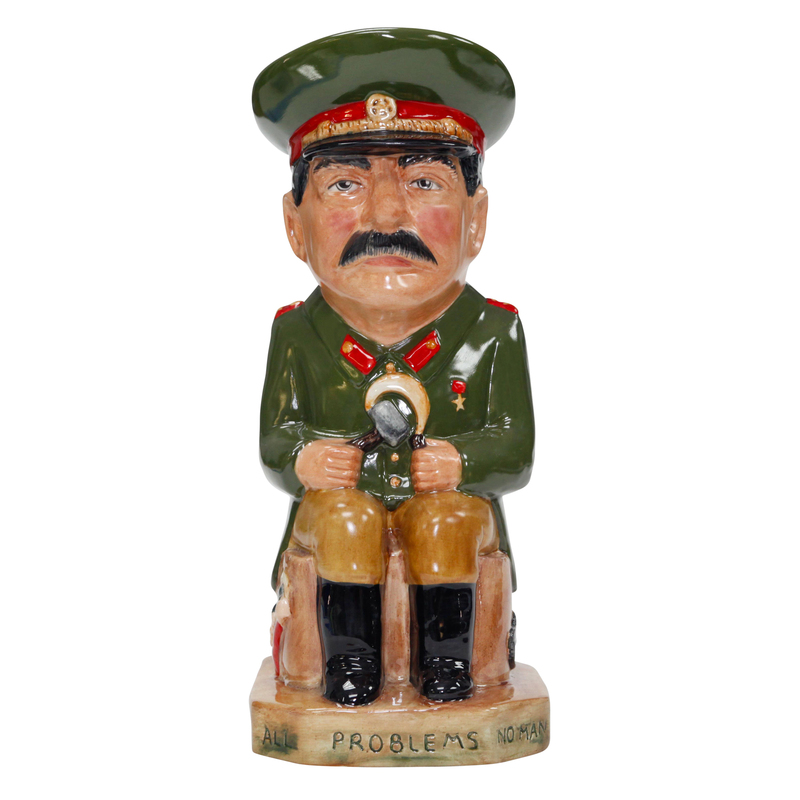 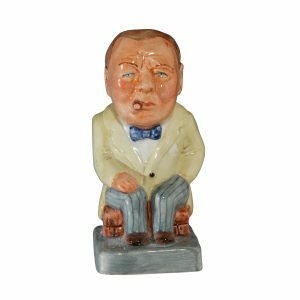 This hand-made figurine, produced by Bairstow Manor Collectables (Staffordshire, U.K.), is modeled as a larger-than-life Churchill sitting at the controls of a British battleship flying the White Ensign, an ensign flown on Royal Navy ships. 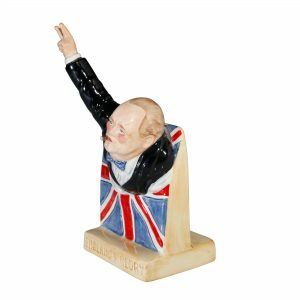 At one time called the St George’s Ensign due to the simultaneous existence of a cross-less version of the flag, it consists of a red St George’s Cross on a white field with the Union Flag in the upper canton. 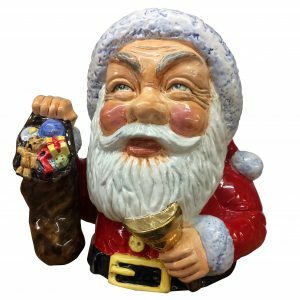 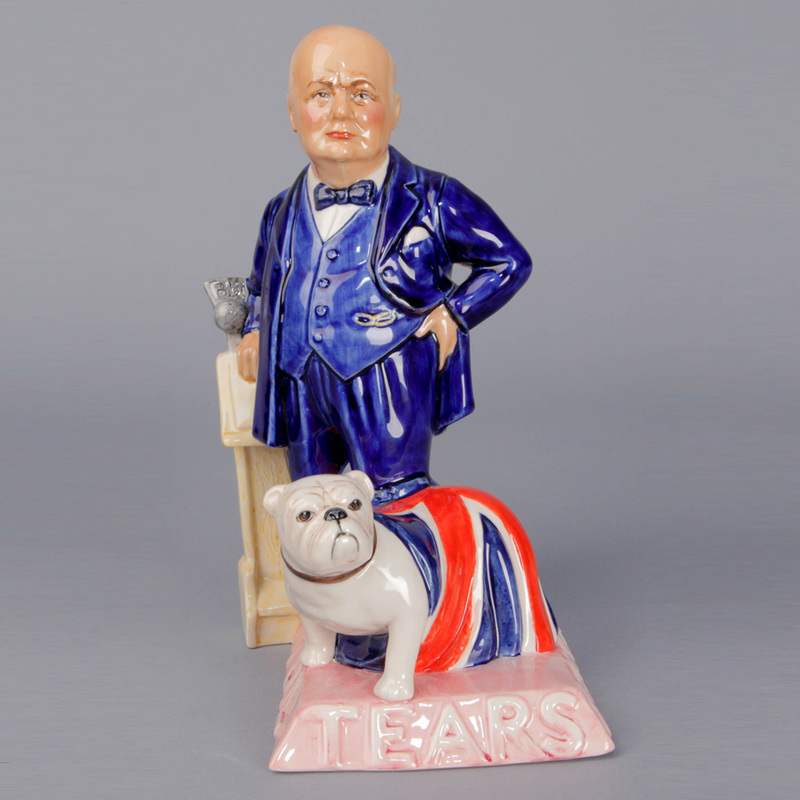 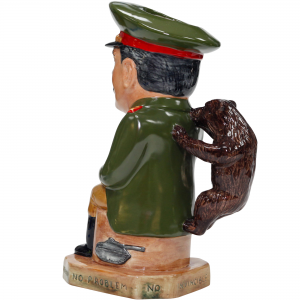 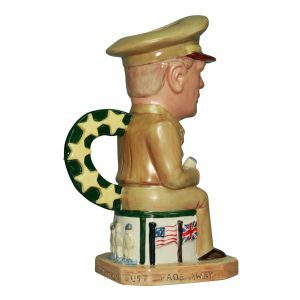 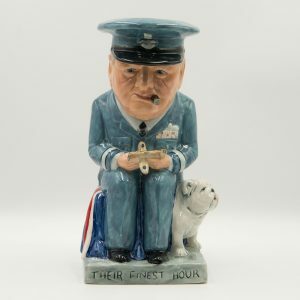 This historic figurine, painted by hand, is the first time Churchill has been so depicted, and was produced in a limited edition for collectors of Militaria, Churchilliana, and respecters of expert ceramic craftsmanship. 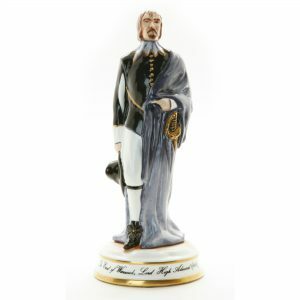 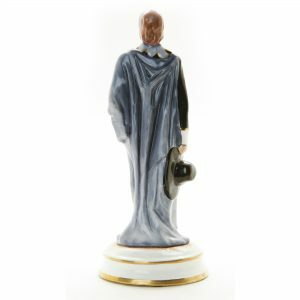 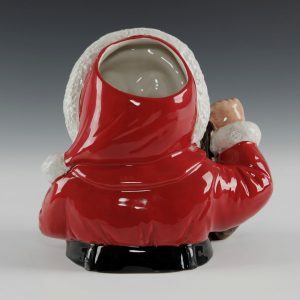 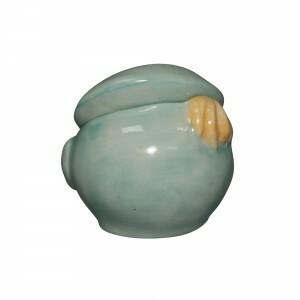 Stamped MANOR COLLECTIBLES STAFFORDSHIRE ENGLAND.